A pen-style highlighter that efficiently brings a soft, sheer wash of colour to the skin. With its precision application, it adds radiance just where you want it. Goes on smoothly for cushion-soft wear. Use over makeup for highlights, touch-ups or under makeup to bright and prime. This long-wearing gel-infused powder glides onto the skin effortlessly blends for a flawless look. Created using slurry technology, in which this powder formula starts out as a liquid-gel and dries to its powder form to give it a unique creamy feel. Can be worn on its own, over moisturizer or used to set and stabilize makeup. 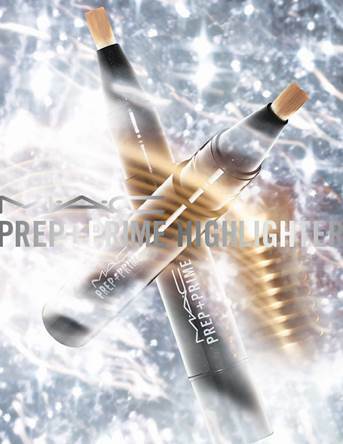 Features sheer buildable coverage.